Never let victimhood define your relationship with your sponsor. Understand that you are an expert in project management and the sponsor needs you to help him/her deliver his project successfully. Notice I say “his project”. That’s an important fact to remember. The organization has entrusted him with an important investment when it assigned to sponsor the project. So let’s not forget that it is his/her project and you are partnering with them to deliver a return on the organization’s investment. Make it a “partnership of equals” not a “dysfunctional parent-child” relationship. Most problems you will face working with sponsors boil down to their lack of availability or willingness to make decisions. Never let the sponsor hold your project’s decisions hostage. Is the sponsor too busy and is going to be unavailable to participate fully in the project, no problem. Just have him/her at the beginning of the project assign a direct report to represent him on the day-to-day decisions on project. Do this at the start of the project, even if the sponsor promised to make himself available. Don’t wait until problems with your sponsor emerge. Once this person is assigned, you should not care who makes the day-to-day decisions the sponsor or her representative. All you care about is that decisions are made and made in a timely fashion. As far as you are concerned, any decision that the sponsor representative makes is ultimately the sponsor’s decision and the sponsor will be held accountable for them (not by you but by the organizations). Let’s say the organization has a culture of lack of accountability. Not your problem to fix. Make sure decisions are captured in writing. Keep an issue log that shows when an issue was opened, when it was assigned, and when it was closed. Make sure whatever tool you are using tracks the workflow and life-cycle of the issue as its ownership bounces around between people. The tool should show how long an issue or a decision has been open before it was resolved. The ultimate tool would show all the communication back and forth about an issue. With this tool in place, you can go on with the work of the project. It should not bother you how long decisions are taking or that they are not made at all. If someone asks why a decision took so long to make, dump the output from the issue management tool and let them draw their own conclusions. Eventually, if the sponsor has been irresponsible, what you captured in writing will show that. If the organization cares deeply about accountability, then you will have provided all the information needed for the organization to address lack of accountability by its project sponsors. Organizations get the sponsors they deserve. Sometimes, it takes a couple of projects to fail before an organization decides it can do better. Remember, not all the problems that you will face in your project can be solved at the project level. In other words, not all your project problems are yours to solve nor can you solve them on your own. You just have to be on the right side of history by owning the problems that are yours. How do you make sure victimhood does not define your relationship with your sponsor? I would love to hear your experience. Make sure to leave a comment. 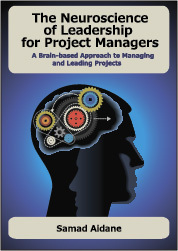 Don’t forget to read Part 1 and 2 of How to be a happy project manager. Documentation is key in any relationship with a sponsor. I can’t tell you how many times it has saved my tail. While taking responsibility for project shortcomings is important, it is not the same thing as taking the blame when a sponsor is not involved in the project where they are agreed to be. Thank you Mike for your contribution. You are so right. Documentation is so important. It much more important than simply serving as CYA. It forces people to think clearly when they see their thinking on paper. This should give people a chance to change their mind of they think their decisions are ill-advised and course-correct. At least that’s what you can hope for. I like the idea of having a sponsor “designee” who can make decisions on the sponsor’s behalf. One point of caution, the PM should make sure the sponsor is aware of the decisions that have been made so the sponsor at least has the opportunity to object or ask questions before the project continues down a specific path. Also, as noted above, there is also documentation that the decisions were communicated to the sponsor.